The core practice components required by practitioners of Family Centered Treatment have evolved dramatically since the inception of the model in 1988. This has occurred because the key components of the model have been developed or integrated as front line practitioners’ experiences precipitated changes or additions. Unique to FCT are the elements of transitional indicators into the Four Phases of Treatment. Unlike many treatment models that strictly rely on time frames to determine when a family “should” move to another stage of treatment, FCT utilizes its clinical supervision process to determine specific indicators demonstrating that a family has successfully completed a phase of treatment. This process is documented as part of the fidelity to the FCT model and indicated by the families’ progress while guided by the clinician, NOT strictly relying on number of days or sessions. 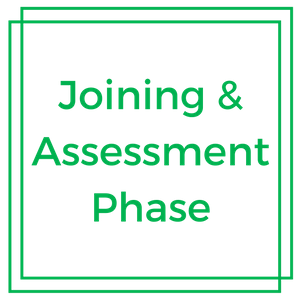 The Joining and Assessment Phase of FCT contains distinctive considerations. FCT clinicians respond quickly to referrals; the very nature of a referral indicates that a family is in acute crisis and the family needs support quickly. Timely response provides opportunity for engaging the family when they are more likely to be highly motivated to examine and change behaviors. Three unique Family Centered Evaluation© instruments are used by the family to identify needed additions, changes or improvements in family functioning skills. Additionally, these Family Centered Evaluation instruments are experiental and explore family resiliancy, the family life cycle and generational patterns. Goals determined during the Joining & Assessment Phase provide the structure for guiding the family to negotiate tasks associated with daily living that are congruent with the goals set. Repetitive transactional patterns, which develop over time into “rules” of interacting, drive how the family handles the tasks associated with daily living. FCT interventions are targeted at shifting the repetitive interaction patterns that make up the structure of the family. (Minuchin, 1974; Minuchin & Fishman, 2004; Lindblad-Goldberg, 1998). 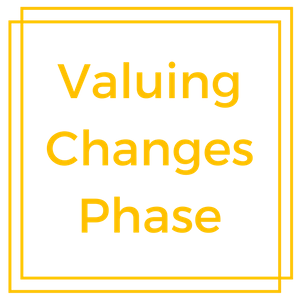 The Valuing Change phase is a critical and distinct component of FCT in which the family learns to recognize and value their new behaviors. They learn that the changes they've been making have value well beyond the situations that their clinician has been helping them with: they learn that their changed behaviors go well beyond getting through a crisis. In this phase, they also learn about the “power of giving”. Families learn to give to others as a method for discovering their inherent worth and dignity." In the valuing changes phase, FCT clinicians help the family to examine the value of their changed behaviors. Sustainable change occurs when behavioral changes are valued and seen as necessary by the family.". Typically, a family that enters the Generalization Phase of treatment is no longer overwhelmed by the crises or the circumstances that tend to lead to crises. Instead, they are handling them with their new skills and reporting the outcomes to their clinician. FCT’s definition of a successful and appropriate closure is not determined by sources that are external to the family. FCT works with the family to determine the timing of closure, using an analytical process that evaluates the changes that have occurred and the family’s ability to use the strategies independent of external agencies.